Welcome to Dublin's premier independent boiler specialists. We have been carrying out boiler servicing in Dublin for well in excess of 40 years now so you are in safe hands. I would firstly like to say we are professionals. We have seen certain unscrupulous companies touting boiler servicing in Dublin from €39 on sites such as city deals and Groupon. Please check the reviews before you waste your time and money (€39 Reviews). Also the flushing at €39. I would like to state as an industry expert that a professional power flushing will take approximately 4 hours for an average system possibly longer. We charge €450 ex V.A.T. compared to Bord Gais €599 ex V.A.T. Please feel free to read our page on power flushing, so you understand the way it should be done. Power flushing. A professional boiler service will take approximately an hour, possibly a bit longer. Our technicians will always issue an R.G.I. certificate of compliance. The job will be done thoroughly by a competent fully qualified, R.G.I. registered boiler technician. Professional boiler servicing in Dublin for individuals, landlords, businesses and property managers. As a large company with an outstanding industry reputation we deal with many different people and businesses. The one thing that all have in common is they all get the same high quality workmanship for excellent value for money. Please click on any of the links below to take you to a page that will suit your needs. We are leading industry experts who specialize in boilers. If you consider how many makes and models of boilers have been produced in the last 40 years why would you want a Jack of all trades plumber? For the same or less money you can get an expert. Some of our senior staff have upwards of 35 years experience within the industry. There has never been a boiler we haven't been able to properly service, repair or replace. 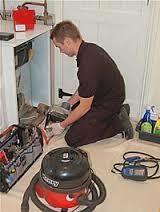 All of our technicians are fully qualified R.G.I. registered plumbers who decided to specialize in boilers. We are fully covered by public and professional indemnity insurance for extra peace of mind. We are fully focused on giving polite, courteous service with top quality workmanship. We will always sign off by issuing an R.G.I. certificate of compliance. We are available 24/7-365, including evenings and weekends. This service is provided at no extra charge. If you require your boiler servicing in Dublin call the experts today on 01-4920077. We currently charge between €59-€89 depending on the make and model. This compares favorably to Bord Gais who charge a standard €99.